The guys from Bone Thugs-n-Harmony are here to remind you that Cleveland rocks. Two weeks ago, victory finally came to Cleveland. Fans there screamed and jumped and cried when LeBron James (a native of nearby Akron) and his Cavaliers beat the record-setting Golden State Warriors in a thrilling Game 7 of the NBA Finals. The city had not won a professional sports championship since 1964. The drought was over. Also cheering was the entire crew of Bone Thugs-n-Harmony, the Grammy-winning melodic hip-hop group from the city where the Rock and Roll Hall of Fame stands. The act, who had performed during a Cavs halftime show earlier in the playoffs, posted congratulations to their team via social media, while still promoting their various city-themed works, including "Cleveland Is The City," "The Land," and "Love My City." "This one is for all the haters that don't like to give props ... This wasn't set up it was @kingjames destiny for #Cleveland #allin216 Thank you Cavs #believeland"
With the win, the city that raised them is getting respect on a national scale. Bone Thugs, one of the first rap groups to implement singing and harmonizing into their music, have since influenced many artists, including Cleveland's own Kid Cudi. But despite their hits like "Tha Crossroads" and "1st of tha Month," which threw them into the national spotlight in the mid-'90s, the old-school act hasn't scored big on the rap charts in recent years. Perhaps that's why they can't believe they're still together. Flesh-n-Bone, the group's oldest member at 43, told the Inlander in 2014 that they planned to be around for a long time, just like the Rolling Stones. "Lucky for me, Bone Thugs-n-Harmony happened to be that one special group, and I feel fortunate because there's not too many like that still around," Flesh said. "For us, it's just something far beyond anything you can ever imagine, to still be here like that." The group just keeps on touring. 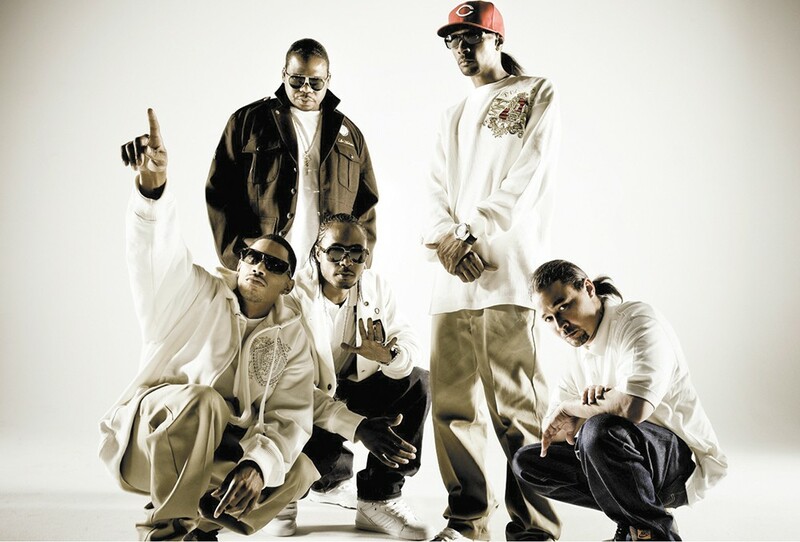 All five members — Krayzie Bone, Layzie Bone, Wish Bone, Flesh-n-Bone and Bizzy Bone — will be present Saturday night at the Knitting Factory. Previously in town to help ring in the 2015 New Year, they've come through Spokane often. But this time, after their city's newfound glory, their show can only be more of a party.